If you chose door number three, you were right! In this message, we will explain the story behind this Greek tragedy, and why events in the Old World can have an impact on us here in the New. Athens, Greece. As of this writing, reports out of this proud, ancient capital are mostly calm right now, but that calmness masks the turmoil that lies beneath. Banks have shut their doors. ATMs are out of cash. And banners proclaiming either YES or NO hang throughout the city. More on this in a moment. A lot of people you’ve probably never heard of, but who are nonetheless central players in a massive, continent-wide drama. The key figure right now is probably Alexis Tsipras, the Greek Prime Minister. Angela Merkel, the German Prime Minister, Mario Draghi, Chief of the European Central Bank, and Jean-Claude Juncker, President of the European Commission, also have large roles. Simply put, Greece is massively in debt. The main reasons for this are a long history of enormous budget deficits (the government spending more each year than they brought in) and inefficient use of government funds, among other things.1 But the trouble really started in 2008 when the global recession hit. Suddenly, many EU countries found that their debts had caught up with them, especially Greece. The cradle of western civilization, as the country is known, suddenly found itself nearing bankruptcy. Because Greece is a part of a larger community, the European Union, its troubles affect more than just Greeks. The EU is a political entity, but also an economic one. Most of its member states participate in a single market, which links each country together by using the same currency and economic regulations. Many of these countries agreed that if Greece were to go bankrupt and default on its debt, it would harm them as well. For example, if Greece cannot pay the debt it owes to other countries, those countries would in turn have greater difficulties meeting their obligations. This is sometimes referred to as financial contagion, and you can imagine it just like an actual contagious disease. One person gets sick, then spreads it to people around him, and so on. From a big-picture perspective, the bailouts helped Greece … but they didn’t cure the disease. That’s because the money was mainly used to pay off loans rather than stimulate the economy. The austerity measures that went along with the bailouts, meanwhile probably had a negative effect on the economy overall. Think of Greece like a leaking ship. The bailouts did their job and plugged the leaks, but they also made life far more miserable for the people onboard … and did nothing to make the ship any more sea-worthy. All that drama has been playing out over the past several years. So why is Greece back in the news again? Because Greece has finally defaulted on its debt. The bailouts, it seems, merely delayed the inevitable. (Which may be a good thing from a global point of view, as the world is better equipped to deal with Greek bankruptcy than it was during the recession.) Recently, the Greek government announced it would not be able to make a scheduled debt payment of $1.6 billion to the International Monetary Fund. In addition, Greece will probably soon default on many of its other obligations, both to bond holders and the European Central Bank. The difference this time is that the Greek government seems unwilling to make that exchange. Mr. Tsipras, the Greek Prime Minister, announced a nation-wide referendum to be held on July 5, where citizens could vote whether to accept more austerity measures. Remember the YES and NO banners I mentioned before? A YES vote would mean more austerity in exchange for another potential bailout. A NO vote would mean Greece decides to call Europe’s bluff, bargaining the EU will continue to provide financial assistance anyway. In the meantime, the government announced it would close both the stock market and all banks for a week. Well, the final results are in, with 61.3% voting “NO.”4 And while the vote itself is largely symbolic, it does indicate Greece has decided to reject the kind of austerity measures they’ve been subjected to over the past few years. That means any negotiations between the Greek government and its creditors will have to start from square one. Meanwhile, the clock is ticking. Remember, if Greece continues to default on its loans, the threat of bankruptcy will likely become reality. That in turn may have a drastic effect on the overall European economy. So what happens next? What will this drama lead to? And why should we care? The answer to the first question is simply, “No one knows.” As for what it will lead to, here’s the worst case scenario. Let’s say Greece and its creditors don’t come to a new agreement. If Greece goes into bankruptcy, that will raise the possibility of “financial contagion” throughout Europe. It could even lead to Greece leaving the European Union, which could cause an even greater shock to the European economic system. In short, many experts are worried about a potential domino effect. If Greece goes into default, it could start a chain reaction that damages the entire continent. But here’s the good news: Europe is in a stronger position than it was several years ago, and is better equipped to prevent financial contagion. Then too, Greece makes up a relatively small part of the Eurozone economy, so its exit might not be as catastrophic as some fear. In addition, the EU has a habit of doing everything it can to prevent a crisis from spinning out of control, so many observers expect a deal to be reached before the worst happens. In the end, though, optimistic opinions and pessimistic opinions are ultimately just that: opinions. No one knows for sure … and fear is in the unknown. So why should you care? Why does this matter? Because in the 21st century, what happens in one hemisphere affects the other. What happens in our hemisphere then affects our country. Our country affects the markets, which in turn affects … you. Understand, that this doesn’t mean you have to follow Greece’s every move, or that these headlines are guaranteed to significantly affect your portfolio. There are many factors to take into account, and Greece is just one. In fact, part of our job as your financial advisors is to make sure that no single eventmakes or breaks your portfolio. For that reason, we see no reason to stress. We should continue remaining watchful, of course, but calm. In this global community which we’re all a part of, the ripples near one shore will always reach the other. Greece has been, and will continue to be in the news. So whenever you hear about them, we want you to know just why it matters and why you should care. That way, you can ask the right questions. 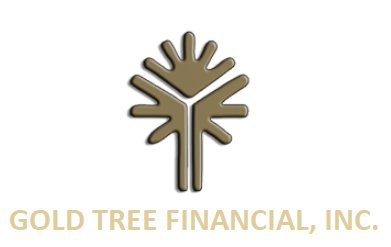 And you’ll know that all of us here at Gold Tree Financial are constantly watching the news and putting it into context. So if anything happens, even across the ocean, we’ll know about it. We’ll know why it happened. And we’ll know what to do about it. What should you do? First, share this with friends or family whose financial advisors do not keep them up to date on these important issues! Second … get on with enjoying your summer! And remember that we’re here for you if you have any questions or concerns. Please feel free to give us a call at 904-725-0556 We’re always happy to hear from you!